Ernest A. d’Ablemont is one of the hustlers selling The Dallas News. He began selling the paper in March, 1905, on Sundays at the age of 11 years. He is now 14, or will reach that age on his birthday, March 16, 1908. Since he began, he has never missed a Sunday, rain or shine, hot or cold. Since his business career began he has clothed himself and has accumulated sufficient money to enable him to make a loan of $150 at 10 per cent. Quite the business-minded newsboy — the Inflation Calculator estimates that $150 in 1908 would be equivalent to almost $4,000 today! In 1909 — just a year later — he had his own entry in the Worley’s city directory, but he had jumped ship from the News and was working for The Dallas Dispatch. Ernest followed in the footsteps of his farmer father. After his early entrepreneurial foray into the world of newspaper delivery and a couple of years of service in World War I (which took him overseas where he was assigned to a field hospital and a “sanitary train”), he returned to Dallas and worked the family’s truck farm until he retired. He died in 1954 at the age of 60. 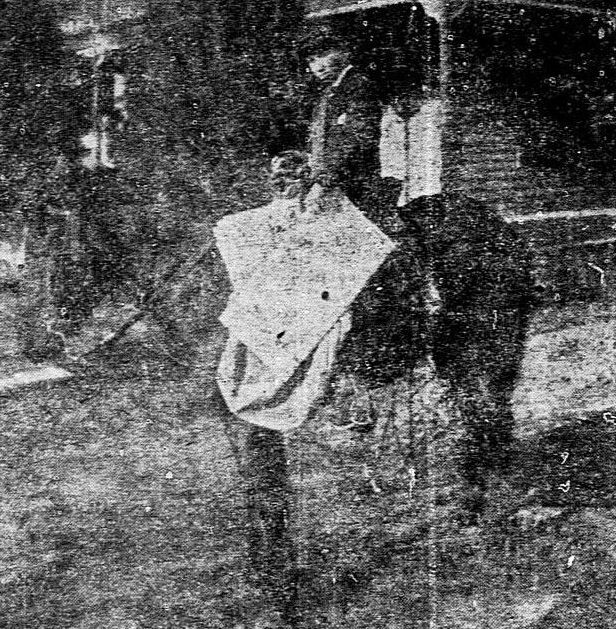 Top image of young Ernest on horseback from The Dallas Morning News, Jan. 26, 1908; photo by Clogenson. Want-ad from the DMN, Nov. 1, 1903. WWI “sanitary trains”? I’d never heard the term. Find out what they were and see what one looked like in this GREAT photo from Shorpy, here. There’s never any telling why people move from Paris to Dallas, for from any one place to another. They just do, and for their own good reasons. There was a geneticist at the University of Texas, in Austin, named Alexander Cyril Faberge. It’s possible his family was into small-scale farming too, for I’ve heard they sold eggs to the czar in their hometown, Moscow.